Craig Whitlock offers a good, in-depth story at the Washington Post on "Fat Leonard" Glenn Francis, the U.S. Navy contractor behind the Navy's ongoing bribery and fraud scandal. 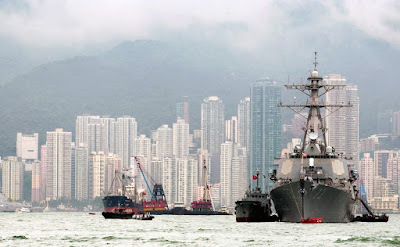 Note: The top photo shows the USS Decatur in Hong Kong Harbor. 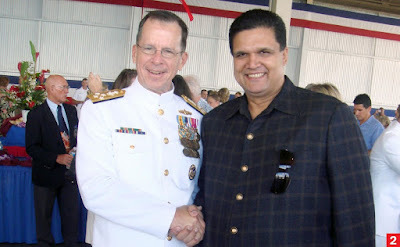 The above photo shows Leonard with Admiral Mike Mullen.